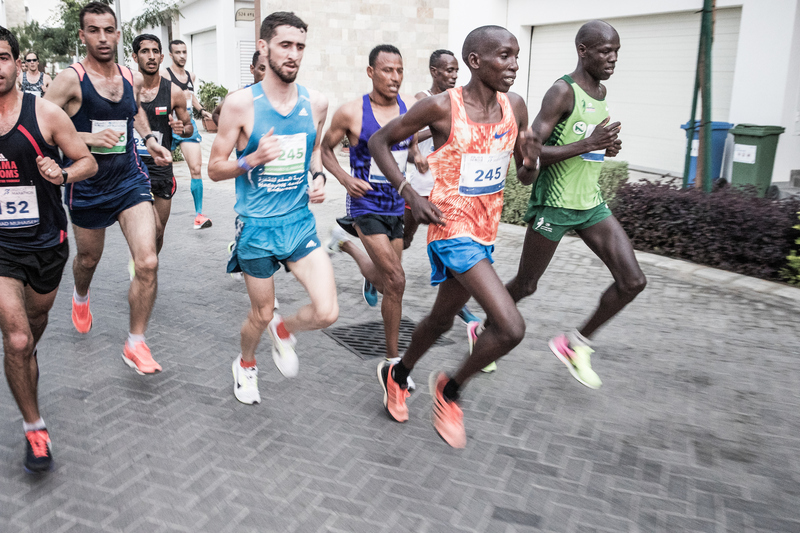 Muscat, January 16th 2019: Thousands of spectators are expected to flock to the 2019 Al Mouj Muscat Marathon Race Village from this Friday to experience the atmosphere and excitement of the international event at first hand. 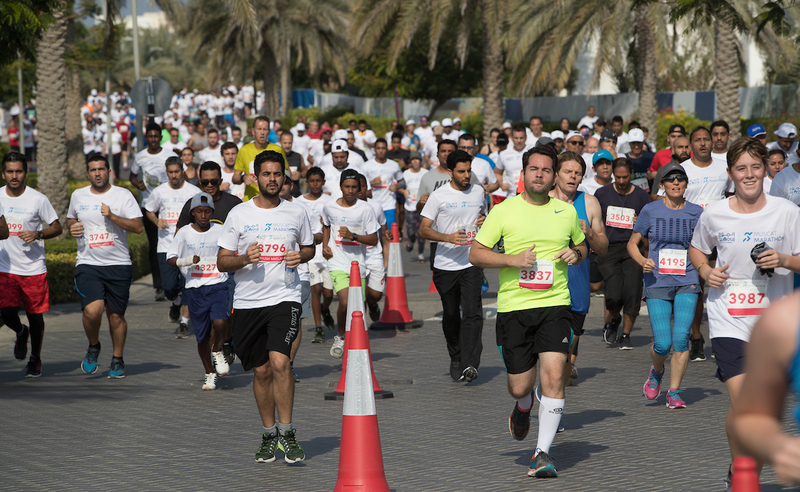 During the two day festival of running the Race Village – located in the heart of the Al Mouj waterfront community – will offer a wide range of activities and entertainment aimed directly at families and spectators. Open from 5.30am on Friday, an hour before the start of the main marathon, half-marathon and marathon relay races – the Race Village will host on-stage entertainment and live music with Muscat radio presenter and DJ Adam Cole conducting the countdown to the various starts, which will be featured live on large screens. Marching bands, mime artists and stilt walkers will add to the sense of occasion, alongside interactive activities including face painting, bubble shows, Zumba and body fusion sessions. Meanwhile many local businesses have taken the opportunity to highlight their products and services on numerous stalls around the village. In addition, there will be several entertainment points along the marathon route featuring traditional Omani bands, drummers and DJs, including outside the Al Mouj golf course on 18th of November Street, the Corniche, behind PACA. With a record-breaking entry of 8,000 runners across the six running categories, including the largest number of elite long-distance athletes ever gathered in Oman, the eighth edition of the Al Mouj Muscat Marathon is the biggest ever held, and is likely to attract a substantial number of spectators. Organisers suggest that the best views of the races will be found at the start and finish lines and along Street 6, as well as the many vantage points along the course. 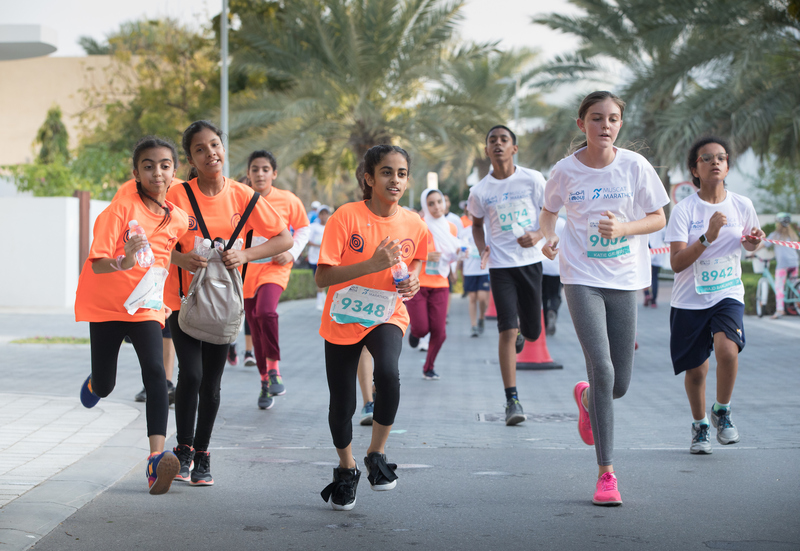 Friday will feature the main marathon running categories as well as the 10k race, which will see the 1,500 athletes who are taking part in the shorter distance joined by women’s world marathon record holder Paula Radcliffe, who is an international ambassador for the Al Mouj Muscat Marathon event. The first finishers in the half-marathon category are expected at 7.35am, with the leaders in the marathon due to cross the finish line at 8.40am. The marathon relay runners are anticipated to finish at 8.50am. The many 10km runners start at 8.30am with the first finishers at around 9.00am. Saturday will see an equally busy schedule and Race Village, with 2,700-plus youngsters taking part in the very popular Kids’ Run event from 8.20am, and almost as many runners registered for the 5k Charity Fun Run, which has an earlier start at 7.00am. On each day the Race Village will stay open until 1.00pm, with the entertainment continuing after the runners have finished their events.